Last night, Richard D. Heideman was elected the new President of the American Zionist Movement (AZM), the American federation of Zionist groups and organizations, at the AZM Biennial Assembly in New York. Heideman, an acclaimed Washington, D.C. lawyer who defends victims of terrorism and has successfully won or settled cases worth billions of dollars against Libya, Syria, the Islamic Republic of Iran and banks accused of funding terror. Recently named Public Justice Trial Lawyer of the Year for 2016, and a former President of B’nai B’rith International, Heideman launched his tenure with a program to improve attitudes towards Israel and Zionism in North America. Heideman also spoke about practical steps that must be taken, beginning with a conference to combat those who seek to demonize Israel and Zionism. Heideman also drew attention to the United States’ upcoming decision whether to continue funding the United Nations Relief and Works Agency (UNRWA) when its current mandate ends on June 30, 2017. He criticized UNRWA as having “interfered with Israel’s efforts to build a safe and peaceful country for all of the people residing within her borders and her efforts towards regional development and security.” Heideman called for “presenting truth, evidence and proposing solutions” as mechanisms for change. The AZM Assembly was jam-packed with discussions about Zionism and the State of Israel and its relevance to American Jewry, with Jewish and Zionist organizational leaders, diplomats, academics and religious leaders speaking on panels such as “Why Zionism is not a four-letter word”, “Talking about Israel: How to conduct an inclusive conversation”. 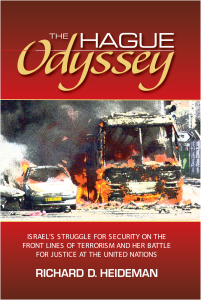 “Israel: Center, partner or theme park” and “Effective Responses to Anti-Semitism, Anti-Israelism and Anti-Zionism”. During the AZM Assembly, Herbert Block was announced as its new Executive Director, succeeding Karen Rubinstein, who has provided decades of outstanding leadership and was named Executive Director Emeritus. Block was formerly an Assistant Executive Vice President of the American Jewish Joint Distribution Committee (“JDC”) from 1999 to 2015, where he was responsible for the Government Affairs and Property Restitution portfolios for JDC, considered the world’s leading Jewish humanitarian organization. Since 2011 Block has served as a Presidential Appointee as a Member of the U.S. Commission for the Preservation of America’s Heritage Abroad, a position he will continue to hold. Heideman succeeds Rabbi Vernon Kurtz, of Chicago, Illinois and was installed into office by Seymour D. Reich, Past Chairman of the Conference of Presidents of Major American Jewish Organizations, Past President of B’nai B’rith International and Past President of the American Zionist Movement. For more information, requests for photos, interviews and video link, contact Alicia Post at apost@azm.org. The American Zionist Movement, based in New York City, is composed of organizations and individuals representing a broad array of Zionist perspectives and engaging in a variety of philanthropic, educational and advocacy activities on behalf of Israel and the Jewish people. 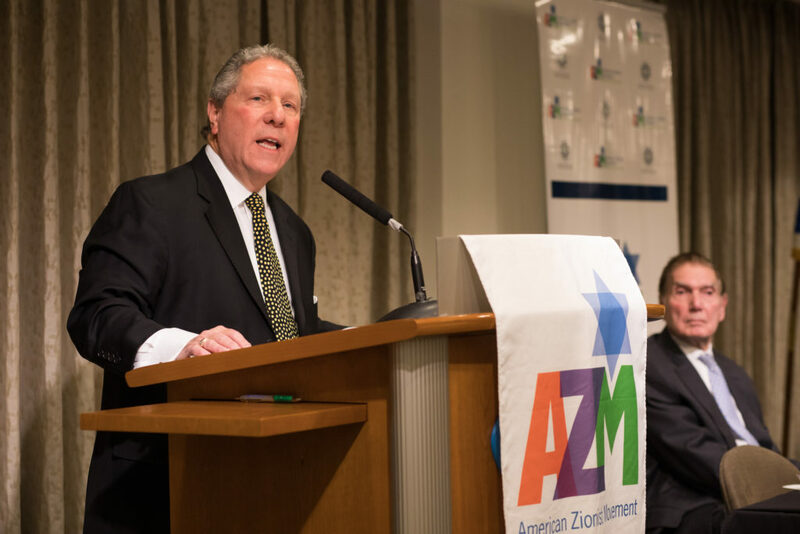 In this capacity, the AZM carries out activities and programs in the US in cooperation with the World Zionist Organization and represents American Zionists within the National Institutions of Israel. AZM strives to provide services and programming for member organizations, as well as serve as a catalyst for new Zionist ideas, a convener of Zionist discussions, an incubator of new initiatives and is committed to the providing of quality Jewish and Zionist education to the next generation.